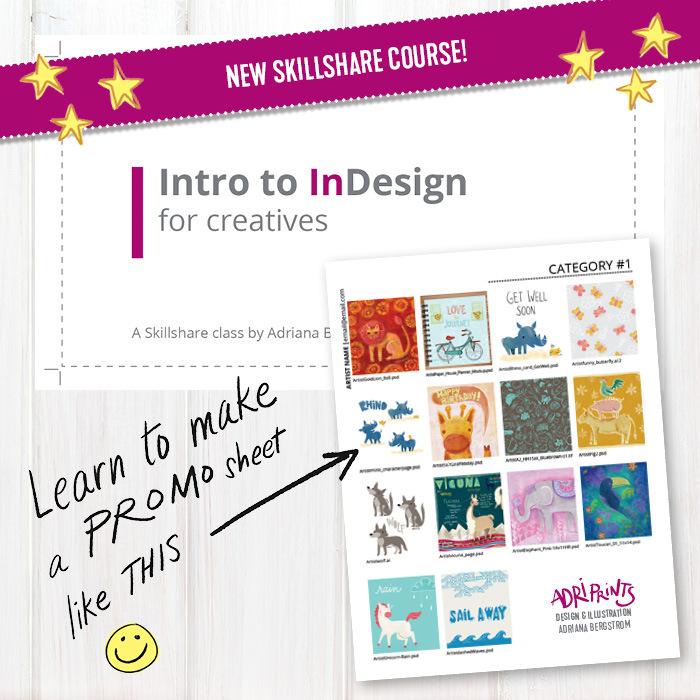 Learn to use InDesign with my new course on Skillshare! At the end of the summer, I secured a spot in a local co-op gallery, Carolyn Seiler & Friends in Cocoa Village. 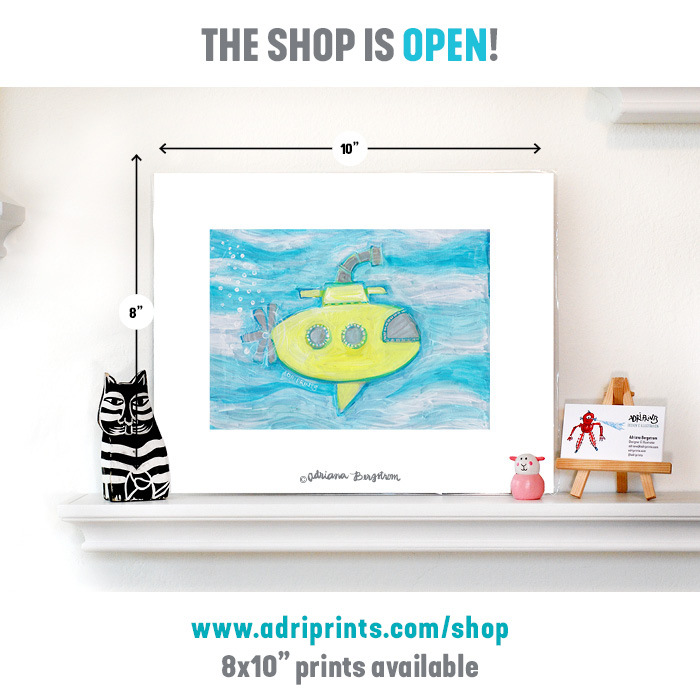 So now some of my original paintings, giclee prints, and greeting cards are available for sale at the gallery! You can come see my stuff in person if you're in the area, isn't that nice? UPDATE 7/2018: My artwork can now be found at the Green Circle Art Gallery, and is no longer available at the Carolyn Seiler Gallery. 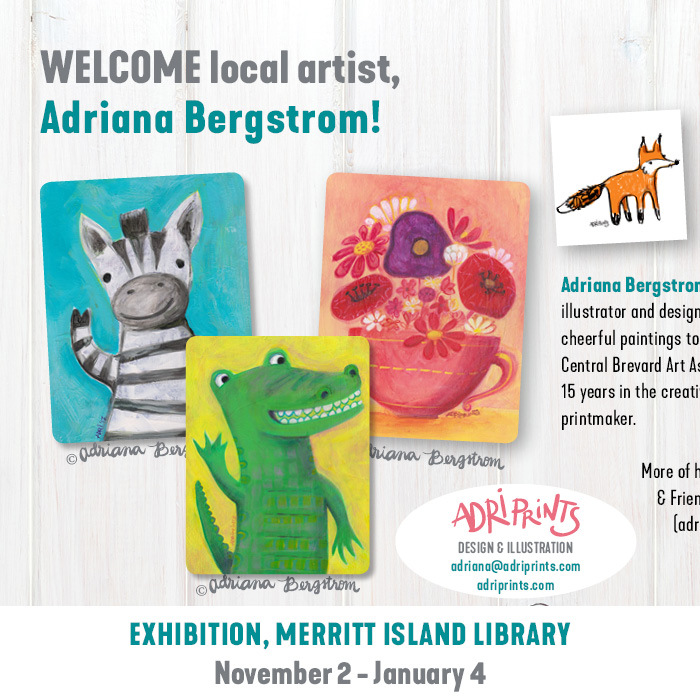 I also have an upcoming exhibition at the local library, the Merritt Island Library starting November 2nd. I'm very excited to show my latest paintings! 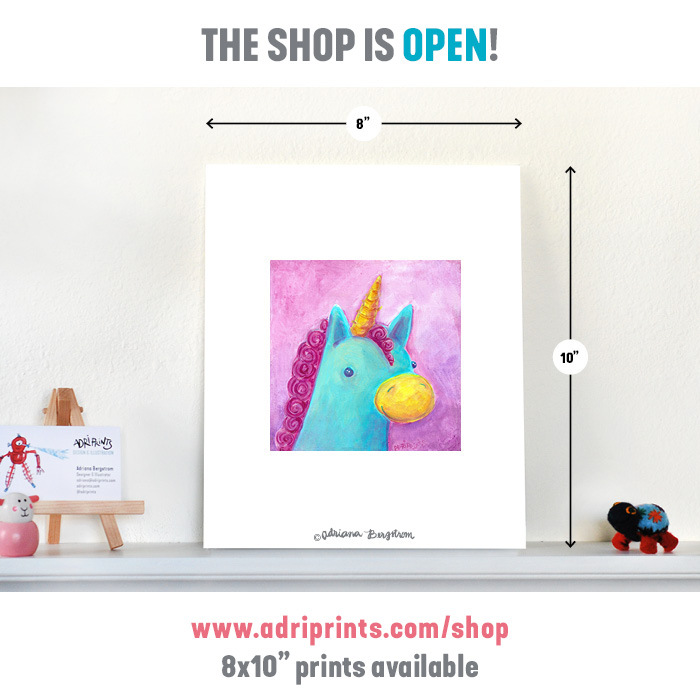 If you're further away, I now have an online shop so you can see my prints and buy some if you'd like to have or give one as a gift! February 28, 2017 Adri H.
Thanks for stopping by! We recently exhibited at Printsource NYC in January with my art collective, Finch & Foxglove, and I wanted to share with you my experience in case you're trying to figure out what tradeshow is best for your work. Printsource NYC is known for having apparel industry buyers attend the show to purchase prints for upcoming collections. We have several artists in Finch & Foxglove who have great patterns for apparel, accessories, and home decor and we thought their work would be better served by exhibiting at Printsource (as an alternative to Surtex for example). The show is 2 days. The venue is cozy and the atmosphere was relaxed, professional and friendly. I found it to be more comfortable than Surtex which can be visually/energetically overwhelming at times. The booths are smaller in general than at Surtex and the prices are more reasonable for the emerging artist. Buyers that came to our booth ranged from small one-person shops to mega corporations. This meant we had to be ready for anything! Our exhibit consisted of hanging indoor vinyl banners, covered tables, and lots of prints both printed on paper and on fabric! We had promotional materials to give to potential clients and we had a way of collecting their information to follow up with them. Selling on the show floor is thrilling! Be ready to take orders with a receipt book so clients have something to take with them as proof of the purchase. Many take the physical paper print with them along with their receipt of purchase. If you're selling digital prints, as most of us are, be ready to send files within 24 to 48 hours. This takes a leap of faith in many cases. We're taught not to give raw files until we're paid, but very few clients paid in cash on the show floor. The rest paid through invoices. Almost all clients wanted to buy the work outright (rather than do category licensing or category buyouts). Be ready with prices that you'll be happy with and don't show work you don't want to sell! Overall, I really enjoyed Printsource and will definitely exhibit there again. I found the level of clientele matched our work really well and we came away with lots of sales. Compared with Surtex, which is more of a licensing tradeshow, income from licensing can be slow to trickle in and the initial expense is prohibitive for many emerging artists. Sales from Printsource were either immediately paid or paid within a month of the exhibit (we had just 1 exception to this due to the negotiation process).